I was diagnosed with lupus in the summer of 2015. This was preceded by a severe case of double pneumonia in the spring of 2014, which caused thyroid disease and the abrupt onset of menopause. I had symptoms that I attributed to these illnesses, including debilitating fatigue, shortness of breath, sudden weight loss, sleep problems, and muscle and joint aches. I thought I had recovered after a few months, but then these symptoms began to worsen, and I also started experiencing cognitive difficulties (memory loss, inability to concentrate), pain in my abdomen, and chills/hot flashes beyond what you would expect from menopause. Diagnostically, I had a positive ANA, vitamin D deficiency, and elevated liver enzymes. I was tested for colitis, Graves' disease, lymphoma, you name it. After finding a good rheumatologist and gastroenterologist, I was diagnosed with lupus, autoimmune hepatitis, and subsequently alpha-1 antitrypsin deficiency. I was put on Plaquenil by my rheumatologist and 40 mg prednisone by the gastroenterologist. The prednisone caused only negative side effects and I was switched to ursodiol after five months. My other medications include Adderall for the fatigue, Sonata and Xanax for sleep, Opana for pain, and herbs and vitamins like milk thistle, vitamin B 12, vitamin C, and vitamin D. I have to meet with an ophthalmologist every six months due to risks associated with Plaquenil. I wish I could say I'm fine now, but the fatigue has only slightly improved and I have not been able to work for almost a year. Some relatively new additional symptoms include cramps in my calves, both while sleeping and awake; and severe, sudden pain in my right hip/groin and which is being evaluated for avascular necrosis. I hope this information is helpful to anyone else who may be suffering from the same illnesses or is trying to determine the cause of their suffering. I was diagnosed with lupus in 2014. I woke up one morning with shortness of breath and my arms, hands, and legs were killing me, and I was beyond fatigued for 3 days and had fever. I take naproxen and prednisone. On vacation at about 12 years old I took a sulfa antibiotic for cold/flu. I developed ulcers in my mouth and then went on to have severe joint pain to the point that my mom and aunts had to carry me to the bathroom. I remained in bed and even unable to turn myself over or change positions without help and overwhelming joint pain. Years later I was diagnosed with SLE (systemic lupus erythematosus) and the episode with sulfa suggested as my first flare. I have not been diagnosed with lupus at this time. My ANA was negative but each time I have a sedimentation rate done, the number increases. Since January, I have been diagnosed with polyarthralgia (they say there is not enough inflammation for arthritis), fibromyalgia, seborrheic dermatitis, anemia, obstructive sleep apnea, tendonitis, fatigue, exhaustion, telogen effluvium and I strongly believe that I have costochondritis. My insomnia, depression and chronic fatigue are out of control right now. I am in pain all the time. After not being able to get out of bed for a few days, I finally went to the emergency room (ER). After talking to the doctor for 10 minutes, he told me that he thought I had lupus. I have seen 7 doctors since that ER visit and feel like no one is taking me seriously. At the onset, I thought that I had irritable bowel syndrome (IBS) or was (all of a sudden) lactose intolerant, then the aches and pains started. It has basically been a snowball since then. This started in January of 2013 and here I am, in July of 2014 with no real answers. Just an ever growing list of medications, doctor appointments and conditions. I am at my wits end! I had blood transfusion at birth in 1950s. I was sickly as a child/teen/adult. Doctors could never find anything wrong, lupus was never mentioned, and parents trusted doctors. At 46, I was very sick for months, doctors said nothing wrong. At 48 I developed joint and muscle pain that progressively worsened. With positive ANA test, I went to the rheumatologist, had mild medicines, and not much help. Pain increased, I changed rheumatologist, was diagnosed with lupus/fibromyalgia, and massive amounts of medicines were prescribed. Three years later, I have bad brain fog, can't work, and permanently disabled. Insist with your doctor to help you, and keep journal of symptoms; not all tests have to be positive. I am 36, diagnosed with fibromyalgia in 2012. I started in 2014, with a passing out episode, and was diagnosed with bradycardia in the summer of 2015, and diagnosed with hypoglycemia in August of 2015. I woke up with extreme muscle weakness and haven't been able to walk without a cane or walker. I have seen many doctors since with still no diagnosis, every blood test you can imagine, including ANA for lupus and a biopsy for amyloidosis. Everything is negative! I have severe aches and pains, my legs are blotchy looking all the time and worse with sun exposure, I have awful headaches and pain often in my left kidney. Yet, still no diagnosis. I have seen a doctor 2 months ago when I saw a bump on my ankle and it got swollen and red and itchy, then my left ankle was the same. Then I got these lumps all over my legs and arms, they itch and are sore. I got some blood work done and was positive ANA but no rheumatoid arthritis (RA). Now I have pain in my shoulder. I wonder what is wrong with me; I am a healthy person. I"ve had joint pain for years. After I had my second child, I had a miscarriage in between, anyway I went to the doctor. And my description to the doctor was, I felt like I was 90. My initial test came back positive for lupus. However I was told I needed further testing. I was poked, prodded, and tested for almost 4 years before I was told that I had systemic lupus erythematosus (SLE). I had restless leg syndrome (RLS) in my legs and arms. My husband almost moved to the couch because of my arms jerking uncontrollably and I would hit him. I would fall without any warning. Once I fell and my chin hit directly into the wall almost knocking me out and I thought for sure my jaw was broken. I had migraines so severe that I couldn"t even walk to the car to go to the doctor to get shots to ease the pain. I have pain in my arms at times that I can"t move them from the weakness. My toe joints hurt so bad at times it feels like I"m being stung by a bee over and over. I have no feeling in some areas of some of my toes except for the bee sting pain. I"ve had an ulcer from the medication I"ve had to take. I have insulin resistance syndrome (IRS). I have spondylosis in my neck and thoracic spine. My spine has an area that is numb to the touch. I have vasculitis and my legs look horrible from my veins. I"ve had tumors removed from my back close to my spine. I had a tumor removed from between my eyebrows, after surgery I had a reaction and developed rhabdomyolysis and couldn"t walk without the assistance of a walker for over 2 weeks. However I am thankful that my heart muscle was not damaged from that. I had to have my gallbladder removed and spent three days in the hospital because I had severe pancreatitis at the same time. While in recovery I was doing well and then I stopped breathing. I had to be bagged to help me start breathing again. At one time I was taking 17 pills a day. I now take Plaquenil, Celebrex, medication for RLS, medication for IRS, and pain medication. When I get a migraine, I take Benadryl, Promethazine, and a pain medication to relieve the migraine. I just recently got diagnosed with lupus. At first my joints would only hurt every once in a while, but now every day, it seems I have debilitating pain in almost every joint, especially when I wake up. The swelling and pain in my hands and feet make it hard to get a full night of sleep. I just started taking hydroxychloroquine which makes me extremely dizzy. I"m definitely having a hard time adjusting to lupus. I'm 37 year old living with lupus for a year now. It seems to have happened overnight starting with stomach pain, body aches, chest pain, heart palpitation and this weird feeling like I want to pass out, for a time, followed by extreme fatigue. It feels like this has taken over my life and makes me angry. My new doctor said my blood work now doesn't show lupus but I'm still on my medicine hydroxychloroquine. I'm trying to say positive. My whole life I had always had horrible fatigue and never slept well. 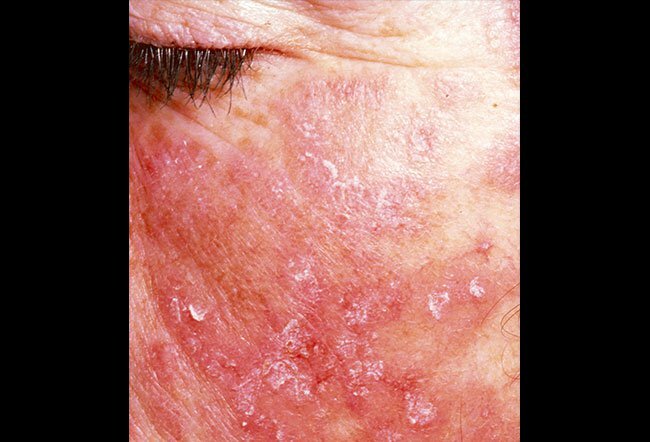 At 17 I developed horrible rashes and went to see a dermatologist and he tested me for lupus because of my family history. I have debilitating fatigue, dry eyes and mouth, skin issues, fibromyalgia, depression, anxiety and Raynaud"s. I"m 31 now and I haven"t been able to work full time since 2011. 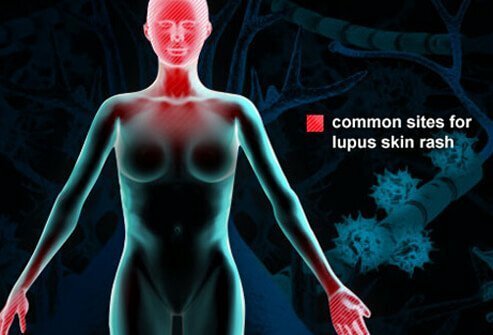 My symptoms of lupus are dry eye, muscle ache, stiff joints, headaches, spasms mostly in my right back calf, feeling of being very cold especially in my hands and feet, loss of appetite, feverish at times, feet, wrist, knees and back sciatica and especially right side of ribs are constantly stiff and achy. I had severe rashes on my chest that looked like a v shape. My nail beds were red and inflamed. I had rashes on other parts of my body from time to time. I lost so much weight very quickly and my hip and groin were in excruciating pain. I had and still have bilateral ankle pain, and my wrist and bony part of fingers ache. The worst part for me with lupus is the fatigue. My initial symptoms of lupus were swelling in my hands, finger joint overgrowth, stiffness and loss of mobility. About 8 months later I developed Raynaud's, and 1 1/2 years after the initial symptoms, developed photosensitivity. When I finally saw a rheumatologist, my ANA was highly elevated (1:1280) and my DS DNA was slightly elevated. While working in a hospital as a nurse, doctors I talked to about my symptoms did not think at all about autoimmune disease as the culprit. I had fatigue for over years. I had to leave 2 jobs as I just could not keep up with a 40 hour work week. I am a registered nurse and was diagnosed with fibromyalgia, chronic fatigue and restless legs. Finally in 2012 I became confused when I had painful sores in my mouth. I ended up in 3 different hospitals before the lupus diagnosis. I ended up in the burn unit for the lesions and was hospitalized for 4 months and am in rehab for a month. I had lupus lesions in the brain and lupus cerebritis. I had 6 months of chemotherapy, now 2 years of oral chemotherapy and plaquenil. I still have fatigue, joint and muscle soreness. I am still disabled, but much better to have a diagnosis and a plan and a great, responsive and caring rheumatologist. I have had symptoms for the last 10 years. The most dominant symptom is being sensitive to sunlight. I can't even drive or go outside without putting on sunscreen and wearing long sleeved shirts. I take extra vitamin D and use face cream with sunscreen all the time. My hair has thinned out, and my malar rash makes my face look like I have bright red blush on. I have lost control of my right hand from joint pain and muscle loss. I drop things all the time and have taught myself to be left handed. I can no longer pick up my 3 year old due to arthritis in my spine. My feet and hands swell all the time and the fatigue feeling hangs out all day. I have lupus, lupus does not have me. I may have to learn to do things different but life I will live. I"ve been diagnosed with lupus 4 months ago. My ANA is negative but I was confirmed with a skin biopsy. I have dry eyes, dry mouth, ulcers in mouth, pain in ankles, knee, toes, nail bed is red mostly all the time and mood swings. I"m on Plaquenil twice a day, hoping to improve and work full time but some days I feel I can"t do more. My blood tests showed that my ANA was bad and my GFR was 53. What I was being seen for was restless leg syndrome (RLS) and sciatica which is so bad I can"t even sit, stand, lay down, do anything anymore because of the pain and jumping jerks of my legs. I"ve had tests and there"s no muscle damage and a little nerve damage on my left foot. The doctors also found that I was deficient in B12. I have these little pea like nodules in my legs especially on the inside of my calf under my knee. There"s no neuropathy and my legs turn bright cherry red and then swell from half way down my calf to my ankle and then other times it is fine. I"ve felt so bad for so long now that I need relief. My anxiety and depression are off the charts, my husband died 2 years ago and we were together for 43 years. My body will just ache all over like I have the flu and I walk bent over because I hurt so bad I just can"t do anything for days. I strongly suspect I may have lupus. I am a 24 year old female. I have been seeing a doctor for costochondritis pain for well over a year and have pain in my knees, wrists, shoulders, hips, and, recently, my jaw. I also have extreme fatigue and vitamin D deficiency. I get terrible rashes (not a butterfly rash though). I lose a lot of hair daily. My doctor suspected rheumatoid arthritis at first, but my ANA was negative. My doctor is re-testing me tomorrow to see if there was any seroconversion going on, but other than that I"m lost. I strongly believe I have lupus. I have present all the symptoms and after minor things surfaced over the years, this January 2014 it hit me like a brick. I have aches, pains in hands and knees, Raynaud's, headaches, fatigue like no tomorrow and anemia. My ANA is negative and I am nowhere at the moment. I'm seeking 2nd opinion. I was diagnosed in 2011 with systemic lupus erythematosus (SLE) after returning from a trip to Washington with sightseeing. I started getting swollen hands and feet, joint pain and off and on, low fever, my left shoulder was in pain when I would lay in bed, I couldn't even turn over or get out of bed it hurt so much to move but after moving around it would ease off a bit. Even my ankles would hurt in the morning getting out of bed, plus when I'd take deep breaths I would get pain under my left breast. An MRI showed I had some fluid in my left lung so my doctor sent me to a neurologist. He had me go for blood tests twice before diagnosing me with lupus and now I am taking Plaquenil 2 times a day. I decided to not let this illness get me down and whenever I have that energy I take advantage of that time. At the onset of my lupus, the only symptom I had was joint pain. Each morning, I'd wake up with pain in a different joint. One day, my wrist, the next day my knee, then my fingers, my elbow, etc. The pain would last all day, and it didn't matter if I took Tylenol or Advil or anything. It was there until I woke up the next morning with a different sore joint. I have lupus and fibromyalgia. My hands and feet are so dry, I tried so many creams nothing helps. I had debilitating pain and extreme fatigue. I am 52 and was just diagnosed 3 months with lupus. My symptoms actually started about 2 years ago and I attributed them to arthritis. I have experienced extreme fatigue and pain and stiffness in wrists, hands, ankles and feet. I am an OR nurse and attributed these symptoms to being on my feet all day. One day I could barley get out of bed, could not hold a pen and my feet were extremely stiff and painful. One of the surgeons I was working with got me an appointment that day with a rheumatologist. I am now taking Plaquenil and getting extra rest. I still have pain, especially in my feet, but not like it used to be. My symptoms included extreme fatigue, swollen lymph nodes, loss of appetite and weight, shortness of breath, sharp pains in my chest, fever, skin rash, and extreme inflammation of my hands and feet. I could barely walk or hold a pen. I also experienced hair loss. After three months of symptoms, I was finally diagnosed with lupus. My symptoms are muscle ache, swelling in the feet, joint area, stiffness fatigue and excessive flaky scalp. First symptom was falling hair, which I ignored as being due to shampooing with hard water. Subsequent symptoms started with pain in the joints of fingers & wrist, especially early morning, would become better in about 2 hrs after waking up. I had a really low white blood cell count at a recent trip to the hospital. I had a butterfly-like rash on my face and then a really bad rash on my body. The doctors asked me if I had ever been tested for lupus, and of course I said no. I told them that my regular doctor was treating me for rheumatoid arthritis. They said that should have been a red flag because I was only 26 at the time. I have sores that I get on my tongue and my throat all of the time and my joints in my wrists and ankles swell a lot. They ran a few tests while I was in the hospital and came to the conclusion of systemic Lupus. After having Raynaud's Syndrome and finding out that my aunt and mother both almost died from blood clots (thought from birth control pills) I asked my gyn Dr. to test me for blood issues. The doctor called 2 days later telling me to see a blood specialist because my ANA levels were very high and they suspect Lupus. A lot of things make more sense like the dark patches on my face that I have had for 2 years that no doctor could explain and my occasional tiredness for no apparent reason. I was diagnosed with lupus through a punch biopsy on dense skin patches on my upper arms. I have treated with Plaquenil since my diagnosis. With continued testing, it was determined I had progressed to systemic lupus. My treatment did not change, however I've noticed a marked decrease in my memory. At first it was random, but now is becoming alarming. I have read that dementia can be caused by Lupus. . I started with the low grade fevers in the night, then the pain in my chest, joints. Became very light sensitive. Drying of the eyes and complete fatigue, it is only recently after a hospital visit that I started my treatment for the symptoms. I am 34 years old and I have had Lupus for 10 years. I was first diagnosed with Lupus after having strep throat three times and being treated with antibiotic and it wouldn't go away. I went to a Rheumatologist and we began testing, something I have learned about Lupus is test results can vary so always get them repeated and get a second opinion if need be. I had hair loss, discovered by my hair stylist who suggested I see a dermatologist. He treated me for what he believed was Alopecia Areata for the first year, during which my hair slowly filled in with Cortizone shots to the affected scalp area. Then I discovered a rash on a small area on top of my forearm. Once again my hair stylist suggested I see a dermatologist. He saw the rash on my forearm & discovered small affected areas on my face I hadn't noticed. Seeing the rash & recalling the Alopecia treatment, my dermatologist diagnosed me with Lupus & ran a standard test confirming it & advised me to follow up with my primary physician. I don't know what would have happened if it weren't for my hair stylist life-saving suggestions and a dermatologist willing to look into my symptoms as more than just a routine rash treatment. Fatigue, migraines, Raynaud syndrome, arthritis. Then I developed low grade fever usually at night. After a few years of that, nerve problems resulting in peripheral neuropathy and the exhaustion became overwhelming. Also, nausea. Mostly joint pain that sometime prevent me from getting in and out of bed. My Lupus...step by step. The very first symptom I had was tender spots all over my body, aching pain, fatigue, and frequent migraines. Confusion and memory loss going beyond simply misplacing my keys. Now, I don't drive very far from home. 2 nd stage was increase pain throughout my body, constant twitching of my muscles and tightening of the right side of my face. 3 rd. The pain in my extremitas increased, then I became so clumsy that I began falling down. 4th diagnosed with polyneuropathy. 5th I've become very clumsy, not having 100% control of my walk or fine motor skills, I have thrown away my high heels and now wear only the wide cross trainer tennis shoes to improve my balance. 6th I now have a weakened immune system. It is common place for me to have at least one infection or two at all times. These infections hang on and on. I had severe weakness and arthritis in my hands. It starts with my thumbs, then fingers, then palm this was then followed by fatigue and photosensitivity. Frequent sore throat, fatigue, joint pain and aches, butterfly rash, general feeling of malaise. Several years ago I started having right knee pain. I ignored it, just blamed it on getting older, probably a touch of arthritis. I was only diagnosed a few months ago as having Lupus. I've gone from just one knee hurting to angles, knees, hands, elbows & shoulders. I almost always have pain in one spot in my upper left chest, & below my right scapula. I'm always exhausted, no matter how much sleep I get, but at the same time, I don't sleep well, toss & turn a lot. At times my face is so red I look like it has been painted on. It is difficult for me to complete tasks. I'm hoping medication will help soon. When I first began having symptoms of lupus I had a rash on my nose, my joints were always painful and swollen (no matter what I took for it), and I was EXTREMELY sensitive to sunlight. I was ALWAYS tired, and I was VERY confused....my thought process during a flare is totally different than how I am every other day. I am on my second medicine trial....so far so good. I was having trouble lifting my arms to dress myself, and I could hardly walk or get around. At this time, my hands, arms, knees, and ankles hurt all the time. I take medication every day to help. The symptoms of SLE (which I suffer from) are joints paints, migraine, feeling hot at joints, skin rash, and hair falling out. These symptoms appear 10 days prior to my menstrual periods. I had numb toes, dry eyes, aches, pains, and total exhaustion. At the onset of my disease my symptoms were extreme fatigue and joint pain.